THE TELEGRAPH: The trouble with protectionism is that both the efforts to prevent it and the disastrous effects it can have have been painted as boring. So often do politicians around the world drone on about confronting the threat that it has become increasingly difficult to convince people of its importance. I can tell you that protectionism is, as I see it, the biggest worry I have about the next couple of years, both economically and diplomatically. I just worry that we’ve become anaesthetised to such comments. I wrote about protectionism in my column last week, so no need to repeat myself, except to give an update. I mentioned that although there are growing examples of the rise in “traditional” protectionism - stuff like trade barriers, subsidies for domestic companies and so on - the real threat remains the more invisible, insidious element of financial protectionism. This works in two ways: first, that governments around the world, by dint of supporting their banks, are (by helping them survive) giving them anti-competitive support to the detriment of foreign competitors (particularly those with less generous governments ). Second, that governments are invariably ordering their banks to withdraw cash and operations from overseas in order to fund more lending for domestic businesses and consumers. The first is perhaps unavoidable; the second is inexcusable in a globalised world. SPIEGEL ONLINE INTERNATIONAL: In a SPIEGEL interview, Goldman Sachs CEO Lloyd Blankfein, 55, discusses his astronomical bonuses, the mistakes and failures of his bank prior to the start of the global financial crisis and his proposals for better regulating financial markets. 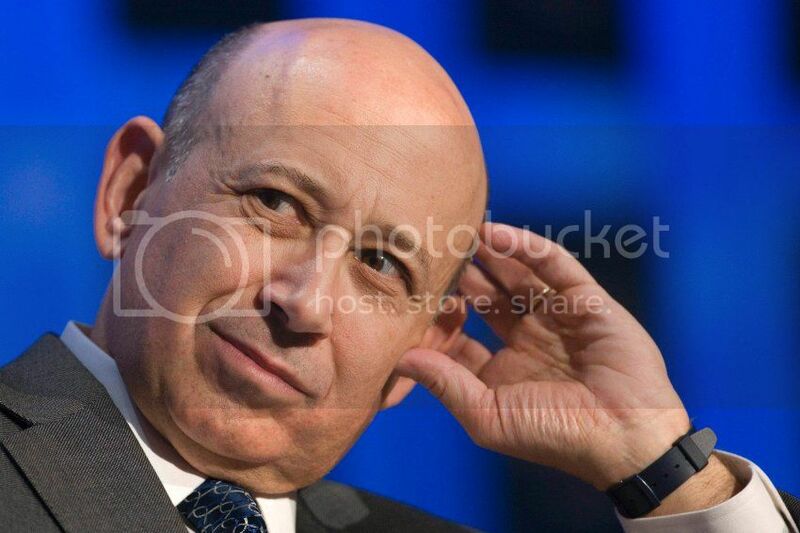 SPIEGEL: Mr. Blankfein, two years ago, your $67.9 million bonus was the largest ever paid to a Wall Street banker. You recently said that you could understand the anger that people are expressing over inflated bonuses. How are we to understand this? Blankfein: I think people legitimately question whether compensation is tied to performance and, looking back, they see that some people were enriched but did not seem to have any alignment with their shareholders. A large part of the compensation paid to our senior people, including mine, is paid in shares, which may be worth less or more depending on our performance well after they were granted. This is what our shareholders want and we are convinced of this alignment of interests. SPIEGEL: Still, $67.9 million is an astronomical sum. Is there any way to justify this? Blankfein: Our board of directors sets the pay of our most senior executives, including mine. They tie pay to the firm's performance and I believe we have established a strong track record of correlating growth in revenues to growth in compensation. The real test is whether compensation is reduced when performance changes. For example, in 1994, the firm made a loss and the partners had to pay money back to the firm so that the staff could be paid. And, in 2008, which was a very difficult year as you know, I was paid no bonus, even though the firm was profitable. SPIEGEL: That all sounds very rational. But don't such payments promote greed as the primary motivator? Blankfein: I think we all know that greed can drive behavior, but it tends to be short term and ultimately destructive. Our leadership team stands out because most of our people have built their whole career at the firm and stayed through many years and many changes in the market. When our people leave they tend to go on to other positions -- whether in government or other forms of public service -- that no one would do if their were motives were financial. Those characteristics don't make me think of "greed." 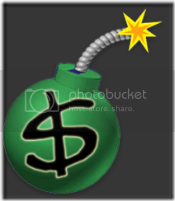 SPIEGEL: This week in Pittsburgh, the G-20 will discuss stricter regulation of bonus payments. Based on what you have said, you believe that such efforts will do nothing to prevent future crises? THE TELEGRAPH: Spain is sliding into a full-blown economic depression with unemployment approaching levels not seen since the Second Republic of the 1930s and little chance of recovery until well into the next decade, according to a clutch of reports over recent days. The Madrid research group RR de Acuña & Asociados said the collapse of Spain's building industry will cause the economy to contract for the next three years, with a peak to trough loss of over 11pc of GDP. The grim forecast is starkly at odds with claims by premier Jose Luis Zapatero, who still says Spain's recession will be milder than elsewhere in Europe. RR de Acuña said the overhang of unsold properties on the market, or still being built, has reached 1,623,000 . This dwarfs annual demand of 218,000, and will take six or seven years to clear. The group said Spain's unemployment will peak at around 25pc, comparable to the worst chapter of the Great Depression. Spanish workers typically receive 50pc to 60pc of their former pay for eighteen months after losing their job. Then the guillotine falls. Spain's parliament has rushed through a law guaranteeing €420 a month for long-term unemployed, but this will not prevent a social crisis if the slump drags on. Separately, UBS said unemployment will reach 4.8m and may go as high as 5.4m if the job purge in the service sector gathers pace. There is the growing risk of a "Lost Decade" akin to Japan's malaise after the Nikkei bubble. Roberto Ruiz, the bank's Spain strategist, said salaries must fall by 10pc in real terms to regain lost competitiveness, replicating the sort of wage squeeze seen in Germany after reunification. There is no sign yet that either Spanish trade unions or the Zapatero government are ready for such draconian measures. Talks between the unions and Spain's industry federation (CEOE) broke down in acrimony in July. Mr Ruiz said the construction sector will shrink from 18pc of GDP at the peak of the boom to around 5pc, making it unlikely that there will be any significant recovery before 2012. Even then growth will be "slow, weak, and fragile". Successive governments, along with the Bank of England, have shown that they are quite incapeable of taking good care of our currency. They’re obviuosly unable to maintain its value. Now, it seems, that dear Merve doesn’t even hide the fact! He wants a weak currency in order to “rebalance the nation’s economy”. What the hell does “rebalance the nation’s economy” mean anyway? It means nothing! These people are just trying to baffle us! What a load of bulldust it is! If these people had balanced the nation’s economy in the first place, they wouldn’t have to try and rebalance it now! And what’s all this nonsense about quantitative easing? That’s a euphemism for printing money. History tells us where that leads to! It leads to hyperinflation. It seems to me that neither the government nor the Bank of England are serious about maintaining a stable and valuable pound. People at the top of the banking sector don’t need to care about the pound’s falling value. All they have to do is award themselves hefty bonuses to make up for the lost value of their savings and salaries. For less privileged folk, this is not, alas, a possibility. So, with the pound falling dramatically in value and interest rates remaining very low, and likely to do so for quite some time to come, the people who are becoming poorer and poorer are ordinary folk, i.e. people who do not work in banks! 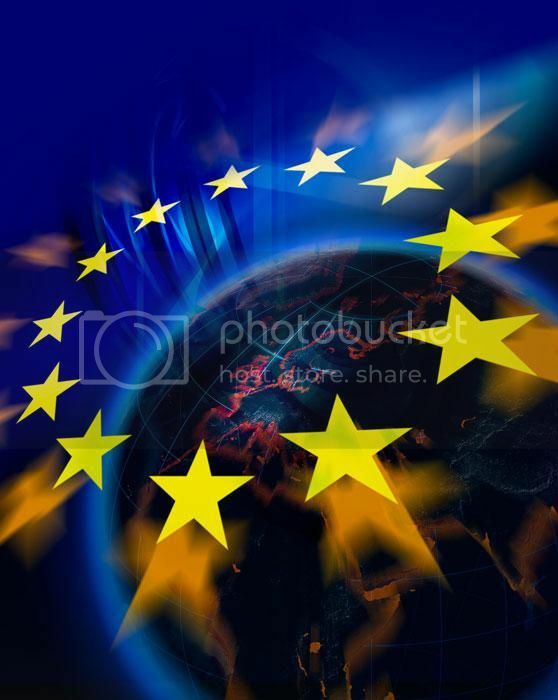 Therefore, perhaps sadly, it is time to get rid of the pound and place our currency into good, safe hands – into the hands of the European Central Bank (ECB). THE TELEGRAPH: Sterling fell to its weakest against the euro in more than 5½ months, pressured after Bank of England Governor Mervyn King said a weak domestic currency was helping to rebalance the nation's economy. The UK currency also hit a near 2½-month low versus the dollar, stung by Mr King's comment to a regional UK newspaper that sterling's fall "will be helpful" to rebalance the UK economy to one focused more on exports. While the comments reiterated the central bank's long-held view on the currency and the economy, analysts said the market considered his remarks a good opportunity to wipe out sterling's gains made the previous day. Sterling had rallied on Wednesday after minutes from the BoE's policy meeting earlier this month showed a unanimous vote not to extend quantitative easing in September. Market participants said those gains had been overdone, and some analysts said that even though King's comments on Thursday did not offer new insight into the BoE's position on sterling, his statement helped to revive momentum to dump the pound. "When the market's down on a currency, it will jump on anything that justifies selling it," said Stuart Bennett, currency strategist at Calyon in London. "Sterling is certainly the whipping boy at the moment." The euro climbed roughly 1.5pc on the day to 91.53p, its highest since early April. Daily trade volumes surged on the move, with the number of trades executed on the Reuters Dealing system hitting its highest in at least three months. THE TELEGRAPH: The Bank of England has summoned the City's leading economists to an unprecedented meeting in Threadneedle Street, as the pound plunges amid growing confusion over its radical Quantitative Easing (QE) policy. The Bank will host a seminar of all London's major economists next Tuesday – the first time it has invited them in en masse in recent memory – in what has been construed as a sign that it fears market participants are starting to lose faith in its efforts to pump cash into the economy. The move has also sparked speculation that it is poised to announce a major change to the monetary policy framework, although insiders dismissed such suggestions. It came after the minutes from the Bank's latest Monetary Policy Committee meeting revealed that the idea of cutting the interest rate banks are paid on the reserves they hold there was not discussed this month. The pound has lurched lower in recent weeks, thanks in part to speculation that the Bank will impose charges on banks for holding excessive amounts of cash in reserve at its vaults. Under QE, it is pumping £175bn into the economy, but much of this cash is sitting in banks' reserve accounts rather than being recycled and flowing around the broader economy. 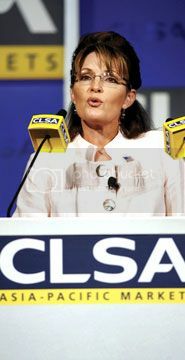 TIMES ONLINE: Sarah Palin’s first ever visit to East Asia began with a monologue that invoked the spirit of Margaret Thatcher, sounded “unmistakably” like a pitch for the 2012 presidency and was described by several members of the audience as “long, humorless and George W Bush-like”. Described by some as “safe” and by others as “uncomfortable”, the speech called for closer ties between the United States and China, and attacked the recent decision of the Administration of Barack Obama to impose heavy tariffs on imported Chinese tyres. But it also warned of China’s own “internal contradictions” and America’s need to stand up against oppression. It was a rare foreign outing for the former Vice-Presidential candidate who committed a series of foreign policy gaffes during last year’s campaign. She claimed to be familiar with Russia, thanks to Alaska’s proximity to the country, and had only visited Kuwait and Germany before - on both occasions to meet US troops stationed there. The former Alaska governor’s speech was delivered in Hong Kong to the CLSA Asia Pacific Markets Forum - a lavish annual beano where over 1,000 of the world’s most astute investors come to hear the views of the foremost political and business minds on earth. “I’m going to call it like I see it and I will share with you candidly a view right from Main Street, Main Street USA,” the former vice-Presidential candidate declared, before launching into prepared remarks on the Alaskan fishing industry. Several audience members reportedly walked out of Ms Palin’s speech 30 minutes before the end, citing “more important things to do” or describing the talk as “too partisan and too much like a speech at the Republican convention”. THE TELEGRAPH: The 21st-century form of protectionism is no less deadly than its 1930s predecessor - just less visible, says Edmund Conway. When Barack Obama, Gordon Brown and their colleagues in the G20 conclude this week's summit in Pittsburgh, at least one item in the final communiqué is a dead cert. As they did in London six months ago, and Washington six months before that – and, indeed, at every major summit in living memory – the leaders will state clearly and firmly that they deplore any attempts by countries to lurch into protectionism, promising to do everything in their power to ensure countries do not erect economic barriers and imploring their trade negotiators to get the Doha Round of trade negotiations back on track. It is ironic, then, that the one area in which governments have truly failed since the financial crisis began is in resisting the tendency towards economic nationalism. According to Global Trade Alert, an authoritative annual study from the Centre for Economic Policy Research in the US, governments around the world have – despite all their promises – implemented around 70 protectionist measures each quarter this year. Some are "traditional" measures, familiar from the Depression and elsewhere – subsidies for domestic producers or tariffs on imports, President Obama's move to slap a 35 per cent charge on Chinese tyres being a prime example. Such measures are provoking fury, and with good reason: the protectionist spiral into which the world plunged in the 1930s almost certainly contributed to the war at the end of the decade. However, such visible signs of protectionism tell a fraction of the story. For the shocking truth is this: over the past year, the costs and obstacles faced by exporters have, according to a study by economists David Jacks, Christopher Meissner and Dennis Novy, increased by almost the same scale as in the early 1930s when the US and others were imposing a range of protectionist laws, including the infamous Smoot-Hawley Act. Partly this is one of the perverse consequences of the financial crisis, which crippled the system of trade credit that underpinned the international flow of goods, making it impossible for some companies to ship products from one part of the world to another. But, far more worryingly, it is also a product of explicitly protectionist measures imposed by countries such as the UK in an effort to save their domestic banking systems from collapse. Most egregiously, these included so-called financial mercantilism, whereby governments, having rescued a bank, insisted that it had to lend far more to domestic customers than business or individuals overseas businesses. THE TELEGRAPH: Gordon Brown appeared to have failed in his attempt to gauge Wall Street's feelings on the thorny issue of bonuses and capital levels ahead of the G20 after he was unable to attract any heavyweight bankers to a specially convened meeting in New York. 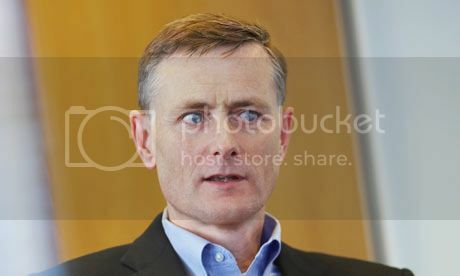 Although invitations to a number of Wall Street's biggest banks are known to have been sent, only one senior US banker, 52-year Citigroup veteran Bill Rhodes – who stepped down as chairman of Citigroup North America in July but remains on its board – attended yesterday's economic roundtable. That compares poorly to the two previous such meetings the Prime Minister has hosted in the city during the credit crisis, when big names including star hedge fund manager George Soros and JP Morgan Chase chairman Jamie Dimon showed up. Instead, the meeting largely drew US representatives of British-based banks, with the nine attendees including Barclays Americas chairman Archibald Cox, whose role is essentially networking, HSBC US boss Paul Lawrence, and David Stileman, Standard Chartered's US chief executive. Business minister Baroness Vadera, one of the PM's closest economic aides, was also present. DAILY MAIL: The head of the financial watchdog has launched a stinging attack on bankers, mocking City traders and attacking their refusal to accept that the industry needs radical change. Just weeks after declaring much of bankers' work 'socially useless', Lord Turner delivered a new broadside at a Mansion House banquet last night attended by the great and good of the Square Mile. He told them the industry's collapse had been 'cooked up' on trading floors where workers earned exorbitant bonuses that regular victims of the recession could only dream of. The peer insisted that only a huge transformation would allow banks to restore their reputations and rebuild their trust, such was the harm caused by their over-extension. And he even went as far as to mock bankers for creating financial instruments that nobody wants or needs. 'No one wakes up on a Saturday morning and says I think I'll go out and buy one of those CDO squareds,' he said, referring to the exotic investments that helped bring the financial system to its knees. 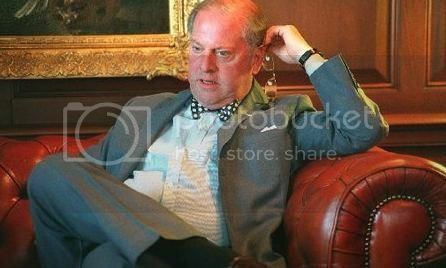 The atmosphere at the lavish banquet noticeably cooled as the peer spoke and he was even heckled three times about bonuses paid to FSA staff. 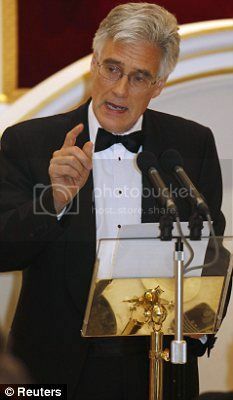 'Probably 60 per cent of the people in this room would willingly shoot Lord Turner over that speech,' one guest said afterwards, according to the Financial Times. Within seconds of starting to speak, the FSA chairman made clear he had no intention of taking back his 'socially useless' claim made last month - for which he was branded a 'heretic' by City figures. 'I will not be recanting this evening', he said. Lord Turner rejected accusations that he had undermined the industry's competitiveness with his earlier comments. 'It is not my job as chairman of the financial regulator to be the industry's cheerleader,' he declared pointedly. He told bank bosses they needed to realise some activities - although profitable - are so unlikely to have a social benefit that they 'should voluntarily walk away from them'. 'Not all financial innovation is valuable, not all trading activity plays a useful role, and a bigger financial system is not necessarily a better one,' he said. The peer - who used to be a banker - conceded that this might mean bank investments becoming more boring but said 'after the last year, there's a lot to be said for boring'. He attacked those who wanted to pretend as if 'the near-death experience' of the last year had never happened. Returning to business as usual and risking a similar crisis was not an option, he insisted. He also strongly endorsed the idea of linking bankers' pay to higher levels of capital held by banks so that they are never so exposed again. THE SYDNEY MORNING HERALD: New Zealand's conservative Prime Minister, John Key, a former investment banker, summed up the state of the world financial system brilliantly during a recent visit to Sydney: "Six months ago, The Wall Street Journal came to interview me and asked me if capitalism was dead. Now Goldman Sachs is paying record bonuses." After a near-death experience, the world financial system is returning to business as usual - only worse. The Group of 20 countries, meeting at the end of this week in Pittsburgh, is supposed to be restructuring the system so that it "never happens again". Or, as Barack Obama put it last week: "We will not go back to the days of reckless behaviour and unchecked excess that was at the heart of this crisis." But we already are. Even if the G20 succeeds in every aspect of its well-intentioned agenda this week, the two greatest systemic problems stand unchanged and uncorrected. The big investment banks, and Goldman Sachs is the biggest of them, have feasted on public money and, now, restored to strength, are throwing themselves back into the markets as recklessly as ever - only more so. The big US investment banks are not just symbolic of the greed and excess of the pre-crisis craze. They were instrumental. They created, sold and traded the derivatives the world later came to know as "toxic assets''. But now, after restoring themselves with emergency government loans, they have repaid the US Treasury and rushed back into the markets. Goldman reported a record profit for the three months to the end of June of $US3.4 billion ($3.9 billion). And the company - where average employee pay is $US700,000 - set aside a record $US11.4 billion for staff bonuses for the first half of the year alone. Guess where the firm made its biggest profit? From trading all the Treasury bonds the US Government issued to pay for the $US787 billion stimulus it injected into the economy to save it from the financial crisis. SPIEGEL ONLINE INTERNATIONAL: It's tough at the top and a new study shows just how precarious it can be in the upper echelons of corporate Germany. Since 2006, one in two board members at companies listed on Germany's blue-chip DAX index have been fired. And once you are out, there is no going back. THE TELEGRAPH: The sun is setting on the US dollar as the ultra-loose monetary policy of the US Federal Reserve forces China and the vibrant economies of the emerging world to forge a new global currency order, according to a new report by HSBC. The three officers Sir Hugh Orde, Sir Ronnie Flanagan and Sir Ian Johnston are receiving payments of up to £100,000 a year despite each taking up another lucrative job, either in the public or private sector. Calculations by financial experts show the officers’ pension pots are worth between £3.3m and £4.7m as a result of payments based on two thirds of their final salary. They are also entitled to a tax-free lump sum worth up to three times their final year’s salary and amounting to as much as £560,000. The payments can be taken after 30 years of service, meaning that some officers can claim their retirement package at the age of 48. THE TELEGRAPH: An attempt by British consumers to rein in spending after the harsh lessons of the recession could limit growth and therefore depress household income further, the Bank of England warns today. It says in its latest Quarterly Bulletin that household decisions to spend or save will have major consequences for the economic outlook, because consumer spending accounts for two-thirds of total spending in the UK. Obama und Sarkozy uneins vor G-20-Gipfel: Wie sollen künftige Finanzkrisen verhindert werden? NZZ am SONNTAG: Die Meinungen, wie künftige Finanzkrisen verhindert werden können, differieren. Doch die US-Banken werden immer grösser. Im Vorfeld des Weltfinanzgipfels in Pittsburgh übertreffen sich die teilnehmenden Regierungen gegenseitig mit Reformvorschlägen. Dabei wird immer deutlicher, dass die Ansichten, was zur Vermeidung künftiger Finanzkrisen getan werden soll, weit auseinanderliegen. Während die USA vor allem schärfere Kapitalvorschriften für Banken durchsetzen wollen, steht für Europa die Begrenzung der Boni im Mittelpunkt. Damit sind bei dem Treffen am 24. und 25. September hitzige Debatten absehbar. Staying out of the Eurozone is costing the average Brit dear. The value of the pound sterling continues to decline and decline. The pundits are now already talking of parity with the euro. This is happening because of mismanagement of our economy and mismanagement of our currency. Gordon Brown is guilty of the mismanagement of both the economy and the currency; but he is not alone. Successive governments since World War II have allowed the value of the pound sterling to halve approximately every ten years. That means to say that what one could buy for ten shillings in 1940, one would have had to pay a pound for in 1950, two pounds in 1960, four pounds in 1970, eight pounds in 1980, sixteen pounds in 1990, thirty-two pounds in 2000, and in 2010, it will cost one a staggering sixty-four pounds. This rule holds for so many goods and services. If you don’t believe me, ask your grandmother what she paid for goods and services back in ‘the old days’, and compare prices today. Do some research on prices inbetween. You’ll find that the rule works a treat. I should be surprised if your conclusion will not be the same as mine: namely, that the value of our beloved pound sterling has halved approximately every ten years. Interestingly, in 1961/62, there were eight US dollars to the pound, and twelve Swiss francs. How many are there now? As of writing this, the pound is worth 1.62650 US dollars, and 1.68912 CHF, or Swiss francs. (Verify these figures here.) So if this is allowed to go on, we shall all be using the currency of a banana republic in just a few years. The pound sterling is becoming worthless! I, for one, would prefer the euro, for the euro is proving itself to be a strong currency. I would like to handle such a currency on a day-to-day basis. I would have more faith in it than I have in the pound. The British authorities cannot be trusted to manage our currency; otherwise, they would not have allowed it to go to the wall as they have. To all the sentimental people, I say this: We can’t afford to be sentimental; there is no room for sentiment in business. And to all those naysayers who worry about our sovereignty, I say this: We lost our sovereignty when we entered the European Union. That happened long ago. That train has already left the station. It’s time to catch the next train. The one that leads to the Eurozone! THE TELEGRAPH: Sterling weakened yesterday to close at just over 90p to the euro for the first time in four months, amid renewed concern over the state of the British banking system. 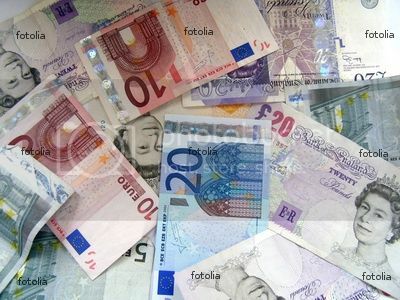 The low came as currency experts predicted the pound would fall further and reach parity with the euro within the first three months of 2010. One euro was worth as much as 90.36p, the highest level close since May 11. A year ago a euro would only buy 79p. Confidence about the UK currency was eroded when issues surrounding Lloyds Banking Group's participation in the asset protection scheme once again put the spotlight on Britain's financial system, highlighting the problems that remain. The pound was also significantly weaker against the dollar, closing down almost two and a half cents at $1.6291. Currency strategists at BNP Paribas suggested sterling's weakness was not just a short-term blip because sterling would be dragged down by ongoing loose monetary conditions in the UK, relative to the eurozone. LE MONDE: Les Anglais ne veulent pas entendre parler de l'euro. Pas question d'abandonner cette livre sterling si chère à leur coeur et qu'ils jugent si fondamentale pour leur identité. Mais l'on dirait qu'elle ne leur suffit plus totalement. En moins d'une semaine, deux nouvelles devises sont apparues outre-Manche. Le "Brixton pound" (B£) verra officiellement le jour jeudi 17 septembre au soir. La "Stroud pound" est née le 12 septembre. Dans les deux cas, il s'agit d'une monnaie purement locale, que les consommateurs ne peuvent utiliser que dans un périmètre réduit, le quartier de Brixton au sud de Londres pour la première, la ville de Stroud dans le Gloucestershire pour l'autre. En 2007, Totnes dans le Devon avait ouvert la voie, suivie, en septembre 2008, de Lewes dans l'est de l'Essex. La Banque d'Angleterre regarde sans doute avec un certain mépris ces expériences qui fleurissent ici ou là. Car ces "devises locales", comme les appellent les économistes, ne font que cohabiter avec l'indétrônable sterling. Elles n'ont rien d'une monnaie au sens traditionnel du terme. Elles en ont l'apparence - elles se présentent sous la forme de billets - mais la comparaison s'arrête là. Elles n'ont aucune valeur sur le marché des changes, et n'existent pas à l'extérieur des frontières dans lesquelles elles ont vu le jour. Elles sont un simple instrument d'échange au sein d'une communauté, qui permet une sorte de troc version papier. Et personne n'est obligé de les adopter. THE TELEGRAPH: Lord Myners, the City minister, has launched an extraordinary attack on unrepentant bankers and their “unacceptable” bonuses. Bank chiefs have failed to show “contrition or humility” over their role in the global financial crisis and are still paid “far too much,” the minister said. Even though the Government is the majority shareholder in several major banks, Lord Myners attacked “inadequate stewardship by the owners of the business” and accused owners of failing to control bankers’ pay. Gordon Brown and his ministers have repeatedly promised to curb excessive pay in the City, but in an interview with the Daily Telegraph, Lord Myners said bankers continue to enjoy “unacceptable” pay deals because of the “poor policing” of City firms. After bailing out the British banking sector, the Government owns around 70 per cent of RBS and 43 per cent of Lloyds Banking Group. The state also owns Northern Rock and Bradford and Bingley. Stephen Hester, the Treasury-appointed chief executive of RBS, has a £9.6 million contract which has been criticised by opposition parties and trade unions. Other financiers at the state-controlled bank have also received large pay deals. REUTERS – INDIA: PARIS - The French parliament passed a law on Thursday which will facilitate the issuance of Islamic bonds despite opposition from leftist parties. The adoption of the law, which was voted in by the Senate, or upper house of parliament, on June 9 modifies the legal framework for what is known as "fiducie", the French equivalent of trust in the United Kingdom. 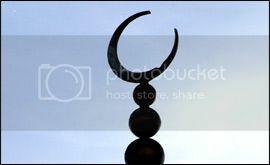 In theory, this should facilitate the issuance of Islamic bonds, also known as "sukuk", although the government has been working on an alternative tool for issuing such debt, which could involve further legal measures. The move is part of France's two-year drive to create a new European hub for Islamic finance, whose value globally is estimated at $1 trillion. 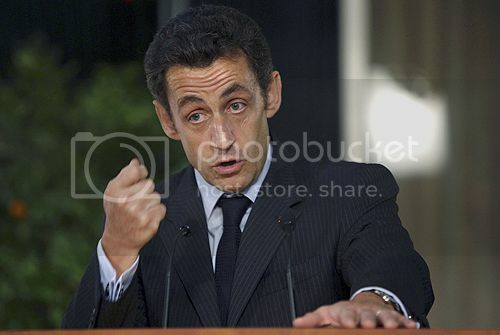 The ruling UMP party and the New Centre voted for the law while opposition came from the Socialist Party and other left-leaning groups, highlighting resistance from some quarters in France to altering the law in a way that could be seen to affect secular traditions. Isn’t it high time we kicked this fiscally imprudent government out of office? Gordon Brown and his inner circle have shown us just how totally incompetent they are. THE TELEGRAPH: Social security payments will cost almost £200 billion in four years time, accounting for one pound in every four that the Government spends. Combined with a debt interest bill of more than £63 billion, items Gordon Brown once called “the costs of failure” will absorb more than a third of all Government spending. Leaked Treasury documents have revealed the Government’s own bleak forecasts for rising welfare payments and debt interest costs. The figures, which were not revealed in this year’s Budget, show the scale of the damage that will done to the public finances by rising unemployment and the soaring national debt. The papers show that the Treasury expects to pay out £193.4 billion on social security benefits in 2013/14. Paying interest on the Government’s outstanding debts will cost £63.4 billion. Total Government spending in the same year will be £758.3 billion. Welfare and debt interest will be 33.8 per cent of that total. Around 6 million people in Britain are estimated to claim some sort of employment-based benefits, and the figure is set to rise. Official figures released on Wednesday showed that unemployment reached has 2.47 million, the highest since 1995. Most economists expect the total to peak at around 3 million early next year. In his 2000 Budget, Mr Brown described money spent on debt and welfare as “the costs of failure” and lauded Labour’s record in reducing those payments. He said: "Our promise was to reduce the costs of failure – the bills for unemployment and debt interest – in order to reallocate money to the key public services." BERNER ZEITUNG: Um 100 Millionen Dollar soll Finn Caspersen den US-Fiskus betrogen haben. Bevor die Steuerbehörde Anklage gegen den Mäzen erheben konnte, tötete sich dieser in seinem Golf-Club. Das Schicksal des Superreichen und prominenten Wohltäters erschüttert Amerika. Dollars, exquisite Clubs und teure Pferde waren seine Welt; sein Name ist in Ehrenhallen von US-Elite-Universitäten eingraviert: Finn Caspersen, bekannter Mäzen und Milliardenerbe der amerikanischen Konsumenten-Kreditbank Beneficial Corporation, hat sich letzte Woche erschossen. Seine Leiche wurde mit einer Kugel im Kopf auf dem Shelter Harbor Golf-Club in Rhode Island gefunden. Niemand rechnete damit, dass der 67-Jährige, der an Krebs litt, Selbstmord begehen würde. Was hat den Philanthropen – er spendete Dutzende Millionen für Spitäler und Universitäten – derart verzweifeln lassen? THE TELEGRAPH: Premium Bonds are to substantially improve their payout, adding 600,000 extra monthly winners and upping the size of the prize pool. Over 23 million consumers own Premium Bonds, making them the country's most popular savings product, but over the last year investors have become increasingly upset by the very poor returns they offer. 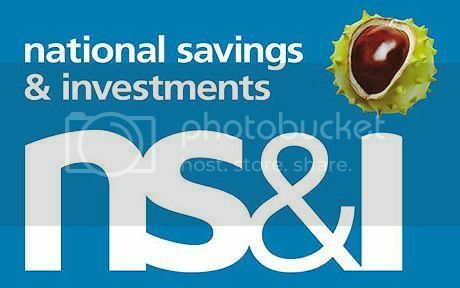 After enormous pressure from savers, National Savings & Investments, the Government-backed institution that administers Premium Bonds, has increased the payout to attract new savers as well as improve the rate for its existing investors. From next month 1.75 million savers will receive a prize of some sort – up from the 1.13 million who received one in September. They could receive anything from £25 to £1 million landing on their doormat. Also, the total payout will increase from £33.8 million to £52.5 million, an increase of 50 per cent. The prize fund rate – an approximation of the rate of return – has increased from 1 per cent to 1.5 per cent. This is the first time in living memory that the rate of return has been a full percentage point above the Bank of England interest rate. TIMES ONLINE: The Archbishop of Canterbury has waded into the debate on bankers' bonuses, warning that financiers feel no "repentance" for the excesses of the boom that led to financial meltdown. Dr Rowan Williams, the head of the Church of England, said the Government should have acted to cap bonuses and he warned that the gap between rich and poor would lead to an increasingly "dysfunctional" society. Dr Williams told BBC2's Newsnight programme: "There hasn't been a feeling of closure about what happened last year. "There hasn't been what I would, as a Christian, call repentance. We haven't heard people saying 'well actually, no, we got it wrong and the whole fundamental principle on which we worked was unreal, empty'." Asked if the City was returning to business as usual he said: "I worry. I feel that's precisely what I call the 'lack of closure' coming home to roost. It's a failure to name what was wrong. 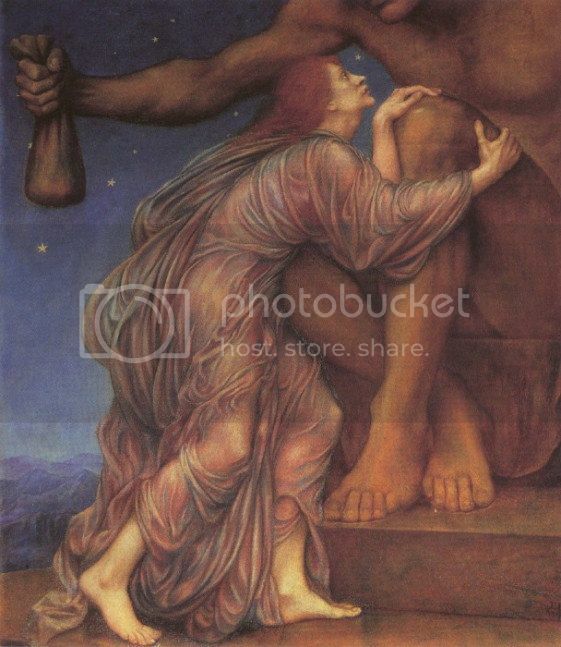 To name that, what I called last year 'idolatry', that projecting of reality and substance onto things that don't have them." NZZ ONLINE: Der G-20-Gipfel im amerikanischen Pittsburgh könnte möglicherweise am Unwillen des französischen Staatspräsidenten Sarkozy scheitern. Sollten dort Begrenzungen für Managerboni nicht diskutiert werden, will Sarkozy das Gipfeltreffen platzen lassen. Frankreichs Staatspräsident Nicolas Sarkozy will den G-20-Gipfel Ende des Monats in Pittsburgh platzen lassen, wenn dort keine Grenzen für Managerboni beschlossen werden. «Wenn es keine konkrete Entscheidung gibt, werde ich den Gipfel verlassen», zitierte ihn die regierungsnahe Zeitung «Le Figaro» am Montag. Die Drohung sei ernst gemeint, sagte der Generalsekretär des Élysée-Palastes, Claude Gueant, dem Sender RTL. Sarkozy sei «sehr entschlossen», ein Abkommen zu erreichen. Der Staatschef hatte bereits vor dem Londoner G-20-Gipfel im April mit einer «Politik des leeren Stuhls» gedroht, sollte man sich dort nicht eine Zügelung der globalen Finanzmärkte einigen können. 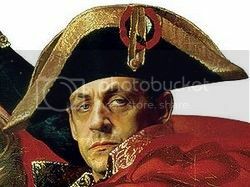 Obwohl sich die Europäer dort nicht mit allen ihren Forderungen durchsetzen konnten, blieb Sarkozy am Tisch. THE TELEGRAPH: Workers who fall ill during their holidays could now claim the time back from their employers following a landmark European Court of Justice judgment that lawyers warned was open to abuse. The court ruled that employees had the right to ask for statutory leave to be "reallocated" when it was spoilt by sickness. Under the terms of the judgement, employees would even be allowed to carry any annual leave ruined by illness over into the next holiday year. The ruling is effectively a new interpretation of the European Working Time Directive on workers' hours, which applies in Britain across the entire private and public sector. Leading employment lawyers warned it would be costly for businesses and that it left "the door open for abuse" by unscrupulous employees seeking to bolster their holiday entitlement by simply claiming to have a cold or flu while on leave. A worker could phone up while on holiday and report in sick in the normal way - taking the day off sick, rather than counting it against their annual leave entitlement. The decision has its origins in a separate ruling on a case brought by a group of British workers earlier this year which said that workers were entitled to accrue holiday during sick leave. However, that had left open the question of what would happen if sickness coincided with scheduled leave. The new ruling, over a case in Spain, is likely to mean that employers will end up paying for both their employees' sickness absence and a rescheduled holiday. Owen Warnock, a partner at the law firm Eversheds, said: "Many employers take the view that if an employee is sick while on holiday, that is just bad luck for them. "The European court has now said that this is not allowed by the working time directive. BBC: US President Barack Obama has warned bankers against complacency, saying that some in the industry are ignoring the lessons of the financial crisis. "We will not go back to the days of reckless behaviour and unchecked excess at the heart of this crisis," he said. He called on Wall Street to support "the most ambitious overhaul of the financial system since the Great Depression". The financial system was returning to normal but had not recovered, he added. "There are some in the financial industry who are misreading this moment," said President Obama in a speech to mark one year since the collapse of Lehman Brothers bank. "Instead of learning the lessons of Lehman and the crisis from which we are still recovering, they are choosing to ignore them. They do so not just at their own peril, but at our nation's." He told Wall Street that it could not resume taking risks without regard for consequences and said they should not expect US taxpayers to bail them out again. The speech came as UK Prime Minister Gordon Brown said that he was "appalled" that some financial firms had been continuing or even extending their bonus culture. REUTERS: WASHINGTON (Reuters) - President Barack Obama will try on Monday to revive a stalled push for stricter oversight of Wall Street, using the anniversary of Lehman Brothers' collapse to argue for sweeping regulatory changes. Obama's wide-ranging economic address in New York will also discuss plans to unwind the government's involvement in the financial sector and call upon Wall Street firms to take responsibility and avoid reckless behavior. He is to speak at 12:10 p.m. EDT. Gaps in the regulation of U.S. banks and capital markets have been blamed for the subprime mortgage crisis and global financial chaos triggered after Lehman filed for bankruptcy on September 15, 2008. Obama and other backers of a financial overhaul say new rules are crucial to heading off another catastrophe. But as Obama prepares to deliver the speech at the historic Federal Hall in the heart of Wall Street, the regulatory reform effort has hit resistance in Congress, casting doubt on Obama's goal of enacting the legislation by year end. In addition to jumpstarting the regulatory reform legislation, Obama will seek to take credit for the relative calm that has settled over the markets in the aftermath of the worst financial crisis since the 1930s Great Depression. Obama's battle to pass major health care legislation has taken a toll on his popularity but he hopes to get a boost from signs the economy is starting to improve. 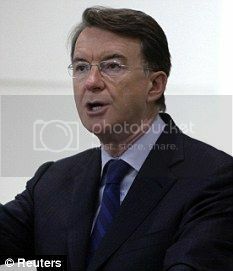 MAIL ONLINE: Lord Mandelson will today face down union threats of strikes and rioting if there are public spending cuts. In the most hawkish statement yet from a senior minister on the need for restraint he will say Gordon Brown has decided to stop 'throwing money' at state services. The Business Secretary, in a major speech, will also insist that the Tories are 'ideologues', hellbent on wrecking the public services. His intervention comes as union barons raised the spectre of 1980s-style riots if public spending is slashed. 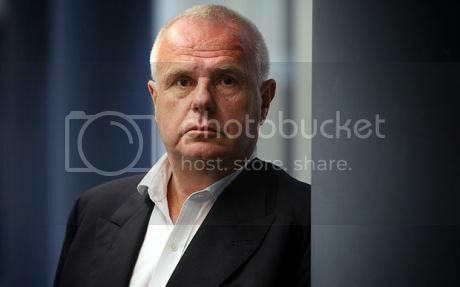 TUC general secretary Brendan Barber said taking an axe to public services would spark a 'double quick, double dip' recession and push unemployment over four million. Unemployment could hit 40 per cent in major cities in the North, triggering massive social unrest, he said. Speaking on the eve of the TUC conference in Liverpool, Mr Barber said: 'Cut the stimulus off and the economy would go into decline again. He warned: 'Last time we suffered slash and burn economics we had riots in the streets here. THE INDEPENDENT: The pay of executives at the helm of Britain's top companies rose 10 per cent last year despite their organisations suffering huge losses on the stock market, it emerged today. The full and part-time directors of the FTSE 100 companies took home more than £1bn between them last year, according to The Guardian's annual survey of boardroom pay. The directors' salary increases were more than three times the 3.1 per cent average pay rise for ordinary workers in the private sector and more than double the rate of inflation last year. Their bumper pay hikes came at a time when many of their companies were imposing pay freezes and redundancies on staff in a bid to cut costs. The survey also revealed that the 10 most highly paid executives together earned £170m last year - up from £140m in 2007. Liberal Democrat Treasury spokesman Vince Cable said: "The Guardian's analysis shows the breathtaking cynicism involved in a lot of executive pay deals, which are unrelated to either personal or corporate performance and involve people who are very well off helping themselves to larger salaries when private sector wages in many companies are being cut." The increases in executives' basic pay helped compensate for falls in bonuses related to the performance of their companies. Overall pay for directors of FTSE companies, including bonuses, fell by an average of 5 per cent, with the average chief executive of a bluechip company now earning a basic salary of £791,000. But taking into account bonus payments, share awards and the value of perks ranging from cars and drivers to school fees and dental work, the average pay package rises dramatically, the newspaper said. Executives at Britain's top companies saw their basic salaries leap 10% last year, despite the onset of the worst global recession in decades, in which their companies lost almost a third of their value amid a record decline in the FTSE. The Guardian's annual survey of boardroom pay reveals that the full- and part-time directors of the FTSE 100, the premier league of British business, shared between them more than £1bn. Bonus payouts were lower, but the basic salary hikes were more than three times the 3.1% average pay rise for ordinary workers in the private sector. The big rise in directors' basic pay – more than double the rate of inflation last year – came as many of their companies were imposing pay freezes on staff and starting huge redundancy programmes to slash costs. The Guardian data also shows that a coterie of elite bosses at the helm of multinational corporations are seeing their overall pay packets soar ever higher. The 10 most highly paid executives earned a combined £170m last year – up from £140m in 2007. Five years ago, the top 10 banked some £70m. For the incurable optimist — of which there are no doubt several in the Downing Street bunker — there are signs that Britain is starting to recover. The stock market is booming once more, confidence is returning to the housing market and the recession may soon be over. 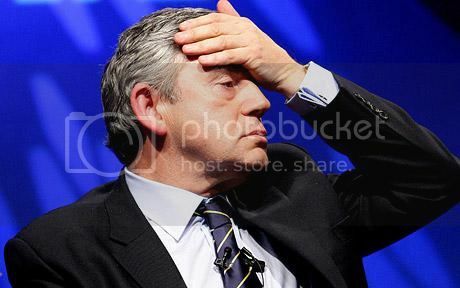 Is it possible Gordon Brown really has saved the world — even if it is too late to save himself? Or, as Labour used to warble, might things only get better? If only. The bleak truth for UK plc is that after 12 years of stupefying Labour incompetence, the worst is yet to come. Britain is once again on the slide towards the margins of economic influence and military clout. We have the worst public finances of any comparable western economy. The British Chambers of Commerce warned this week that the UK faces a ‘grim’ economic future, with a high risk of a relapse. Unemployment is not just spreading but setting like concrete for years to come. And our shabbily treated troops, once a match for the world’s best, will soon be driven humiliatingly out of Afghanistan. This is not the slow, managed decline of an empire looking for a role. It is a sudden, embarrassing discovery that we don’t count on the world stage any more. Thanks to our lumbering Prime Minister, we have been given the unwelcome gift to see ourselves as others see us. And it ain’t pretty. I am writing this from New York, whose citizens once saw Britain as a staunch economic, diplomatic and military ally. It is only a few short years since they hailed Tony Blair as a 9/11 hero and awarded him the Congressional Medal he was so embarrassed to collect. That was the high-water mark for New Labour. Today, thanks to the Oil-for-Megrahi fiasco, we are a bitter disappointment to America. Newspapers from the Wall Street Journal to the New York Daily News are still running every fresh turn in this tawdry story. It was perfectly summed up by a devastatingly editorial in the News: ‘Gordon Brown has given grounds to believe today’s British are a cowardly, unprincipled, amoral and duplicitous lot. Because he is all of those.’ Those are cruelly exaggerated words, but they put the finger on a single identifiable cause of Britain’s collapse. The new decline in Britain’s standing on the world stage is not just about Lockerbie. Nor is it even the decision to trade a convicted mass murderer for Libya’s vast oil reserves. It is about the shifty, furtive and ultimately disastrous management of a country which, in 1997, had every conceivable chance of becoming great again. Labour strode to power with a huge Commons majority, the goodwill of the British people and the prospect of at least two terms in office. For the first time, Labour could ride an economy which had just taken off on a long and sustainable boom. BBC: Lord Mandelson has called for the businessmen who ran MG Rover prior to its 2005 collapse to apologise for taking so much money out of the firm. The business secretary said the so-called Phoenix Four, who bought Rover for £10 in 2000, had "feathered their own nests" during their time in charge. A report found the men pocketed an "unreasonable" £42m in pay and perks. The Phoenix Four blame Labour for Rover's collapse but Lord Mandelson said ministers had been "faultless". And he rejected criticism that ministers had not done enough to try and save the firm, whose collapse cost more than 6,000 jobs. However, opposition parties criticised the government for allowing the group to take control of MG Rover in the first place. THE TELEGRAPH: The US Federal Reserve's policy of printing money to buy Treasury debt threatens to set off a serious decline of the dollar and compel China to redesign its foreign reserve policy, according to a top member of the Communist hierarchy. Cheng Siwei, former vice-chairman of the Standing Committee and now head of China's green energy drive, said Beijing was dismayed by the Fed's recourse to "credit easing". China's reserves are more than – $2 trillion, the world's largest. The comments suggest that China has become the driving force in the gold market and can be counted on to buy whenever there is a price dip, putting a floor under any correction. GALA.fr: François Meyers-Bettencourt attaque l’ami de sa mère François-Marie Banier pour «abus de faiblesse» de sa mère Liliane, âgée de 87 ans. Alors qu’il ne s’agit que de déterminer si la requête est recevable ou non, les avocats commencent l’audience sur les chapeaux de roue. Affaire n° 13, jour 1. L’audience est dite de consignation, et son issue décidera de la nécessité ou non d’ouvrir un procès. Les forces en présence: d’un côté, Françoise Meyers-Bettencourt, fille de Liliane, milliardaire, héritière du fondateur et principale actionnaire de l'Oréal, et dont la fortune est estimée à 17 milliards d’euros. 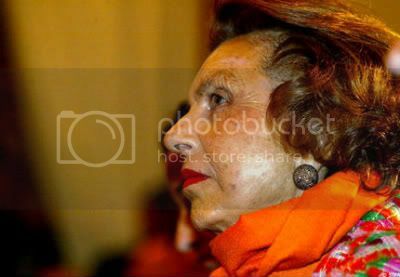 En face d'elle: François-Marie Banier, photographe et ami de longue date de Liliane Bettencourt. La plaignante l’accuse en quelque sorte d’extorsion au détriment de madame Bettencourt. Benedict Brogan: Should We Bang Up Some Bankers? THE TELEGRAPH: Gillian Tett, the FT whizz whose book Fool’s Gold is the best explanation so far of the financial crisis, has a fascinating piece today which considers why we have not seen some of the bankers responsible for the mess put behind bars. She points out that in the wake of the Savings & Loan scandal in the US, 1,852 S&L officials were prosecuted and 1,072 of them served time. A further 2,558 bankers were also sent to prison. So far there is no sign of a campaign of retributive justice on the same scale to deal with those who led the system to collapse. Is that a good thing? Locking up the casino boys may satisfy public hunger for revenge, but it does nothing to repair global finance. NRC HANDELSBLAD INTERNATIONAL: Heineken has gone to court to stop a local Swiss group from distributing a spoof brand called Keineken (No Heineken) in protest of the Dutch brewer's dominance of the Swiss beer market. The judge in Obwalden canton ordered a supply of 1,200 Keineken bottles and matching glasses confiscated after Heineken filed a complaint for trademark infringement. The Keineken ('Kein Heineken' or No Heineken) campaign is in response to recent acquisitions by the Dutch beer giant on the Swiss beer market. A year ago Heineken acquired the Swiss brewer Eichhof from Luzern. According to Conrad Engler of the Keineken campaign this meant that "the last big independent Swiss brewer ended up in foreign hands". REUTERS: LONDON - Oil major BP Plc said it has made an oil discovery in the Gulf of Mexico, which analysts believe could contain over 1 billion barrels of recoverable reserves, reaffirming the Gulf's strategic importance to the industry. BP said in a statement on Wednesday that it had made the "giant" find at its Tiber Prospect in the Keathley Canyon block 102, by drilling one of the deepest wells ever sunk by the industry. Further appraisal will be required to ascertain the size of volumes of oil present, but a spokesman said the find should be bigger than its Kaskida discovery which has over 3 billion barrels of oil in place. WELT ONLINE: Die Finanzminister der Euro-Zone stimmen derzeit ihre Position für das anstehende G20-Treffen ab. Ziel müsste ein weltweiter Kurswechsel bei millionenschweren Bonuszahlungen für Manager sein, damit Banken nicht abwandern. Doch nicht alle Staaten sind mit gleicher Entschlossenheit wie Deutschland bei der Sache. BBC: The Group of 20 richest nations must adopt "binding rules" to regulate bank behaviour, the leaders of the UK, France and Germany have said. UK Prime Minister Gordon Brown, French President Nicolas Sarkozy and German Chancellor Angela Merkel made the comments in a joint letter. They also agreed to explore ways of limiting bonuses at banks to prevent future financial meltdowns. The leaders also said banks could not go on as if the crisis never happened.